As part of European Researchers’ Night, researchers in Botany and Zoology will be opening their labs to the general public for one night only. Come and see how researchers in Botany are trying to fight biodiversity loss, search for new species and reduce future world hunger. 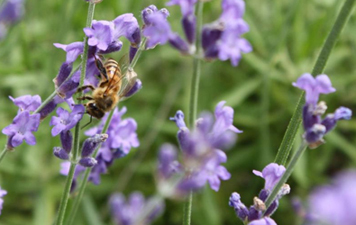 Check out what bees and pond beasties look like up close, find out what happens in a Herbarium, taste some honey, see a wetland in a box, become a pollinator-friendly gardener or even a citizen scientist! The Zoologists are trying to understand better how animals like badgers or plants interact with the environment, and where do they find the most suitable places to live? They examine more closely the diversity of birds on exotic islands and discover new species to science, and research how much of the energy of the Sun is captured by living things on Earth. They also give answers to why do babies kick, and discover how parasites can modify the behavior of animals. Visitors will also have the opportunity to examine closely some of the most amazing creatures on the Planet displayed in the Museum of Zoology.